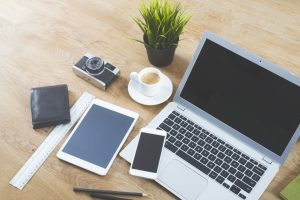 Everyone is talking about search engine optimization (SEO) and a heck of a lot of people are talking about the benefits of responsive web design (RWD)—both for good reason. Know why? RWD explained: Put simply, when you create your website using responsive web design (RWD), your webpages automatically reformat to display on screens of all sizes, from small mobile phones to oversized desktop monitors. Responsive web design benefits your users because they experience essentially the same experience every time they visit your website—from ANY device. With a well-designed RWD website, your pages and posts will load fast and work fabulously on any sized screen. Responsive website design first made the news in 2012, so if you haven’t invested in a new website in quite some time, it’s HIGHLY likely your SEO is falling by the wayside. Here are 3 reasons you should consider updating…ASAP. We all want to be BFFs with Google. After all, while there are plenty of other search engines in the sea, Google is unquestionably King of Search. The Google Gods have made their preference for RWD unquestionably clear, and their reasoning is sound. Redirect Errors: When you create a separate mobile-friendly website, both of your websites may be prone to faulty redirects, mainly because there’s a lot to keep track of between versions of your website, so some redirects might be overlooked between updates. If your redirect is broken and Google can’t find your mobile site? Too bad. Your site won’t appear in search results. Responsive design employs the same URL for all devices, eliminating this potential issue. Duplicate Content: When you’re designing multiple sites for multiple device sizes, you’re essentially creating multiple copies of your original site. If each webpage doesn’t have proper canonical links, for example, or if you release a ton of duplicate content at the same time by updating all your sites at once, this could be misconstrued by Google as an attempt to skew search engine results and gain more traffic. Do not want. Bounce Rate: While responsive design adapts to every device (whether desktop, laptop, phone or tablet), other types of design (including adaptive and separate mobile site design) don’t always fit any device properly. When elements don’t make sense, visitors get frustrated and they leave your website in a hurry. Bounce rate is an SEO ranking factor! As we’ve said, responsive design offers a better experience across all devices. Site visitors (read: your potential and current customers!) using any type of device—or even switching from one device to another—can easily navigate a responsive design on any screen. They can access the same content, plus your branding looks consistent as well. Who wants to lose a potential customer because they’re forced to view a stripped down version of your website with confusing navigation? Better user experience means a lower bounce rate and, ultimately, more website visitors. Bonus points: those visitors are more likely to share and recommend a user-friendly site. When your website is crafted with one URL that displays nicely on any device, you’re also increasing your social media share count. No matter what device your readers use to favorite, tweet, or share your content for their friends to view, your share value goes up on just one URL. Number of social shares is another clear ranking signal. Any web team must consider SEO when planning a website design or redesign, and responsive website design (RWD) delivers some powerhouse SEO benefits. If you agree that your customers deserve the best possible experience when they visit your website, responsive web design is the best choice for a great website that displays optimally on any device. Mobile-friendly responsive design is the KEY to great SEO. Not sure if your site is mobile friendly? Use the free and easy Google Mobile-Friendly Test tool to find out. Now’s the time to go mobile, but how? Check out this handy and comprehensive FREE guide to making your website mobile friendly.